World War 2 saw the perfection of modern amphibious operations with successful landings in North Africa, Italy, Normandy and throughout the Pacific contributing to the demise of the Axis Powers. Among the innovations which made these operations successful was the Landing Ship, Tank (LST). LSTs were designed with massive bow doors and a bow ramp that enabled Allied forces to deliver tanks, half-tracks, deuce and a halfs and other vehicles directly to the beachhead. After disgorging their cargo, the LST’s crew could use a winch system to extricate the ship from the beachhead and return to port for another load. 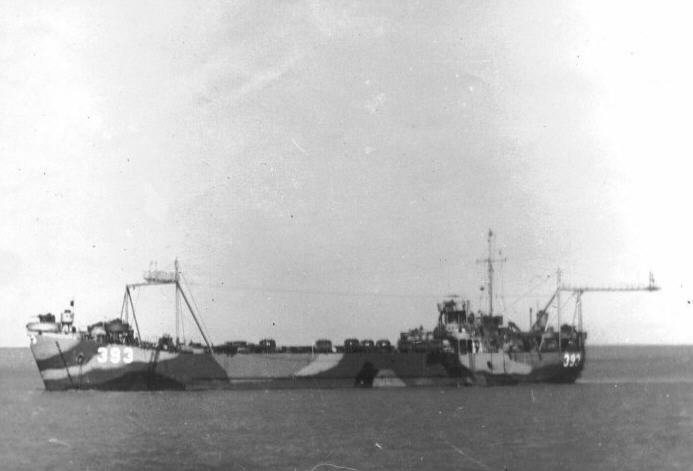 Of the 1,051 LSTs produced for Allied naval forces, most were scrapped or converted to use as merchant vessels after the war while a few saw service through the Vietnam War. One even served as a produce carrier for Los Angeles Mafioso Jack Dragna, hauling bananas between Latin America and California.